Sainsbury’s Local in Jamaica Road is employing local people. The supermarket has announced that out of 29 people working shifts at the shop all but six live within one mile. This result follows a recruitment day held in conjunction with the Four Square Estate TRA last July. Representatives of the TRA were present when the supermarket was officially opened on Monday 15 September. 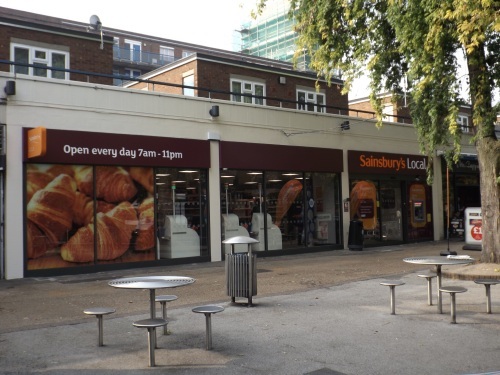 Sainsbury’s claims that it wishes to continue supporting the local Bermondsey community and is working closely with the Salmon Youth Centre. The new Sainsbury’s Local is next to the launderette at 192-196 Jamaica Road where it replaces Castello pizza restaurant .